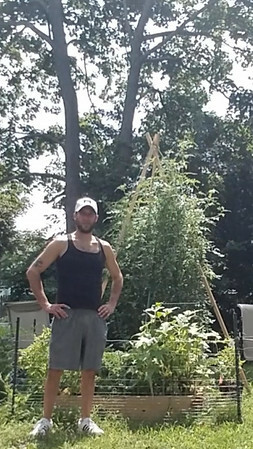 BRISTOL - Little did Bristol resident Ben Hopkins know that his garden near West Washington Street would afford a lot of natural sunlight for his tomato plants to sprout nearly 10 feet in the air. Hopkins has been a Bristol resident with his family since 2001. 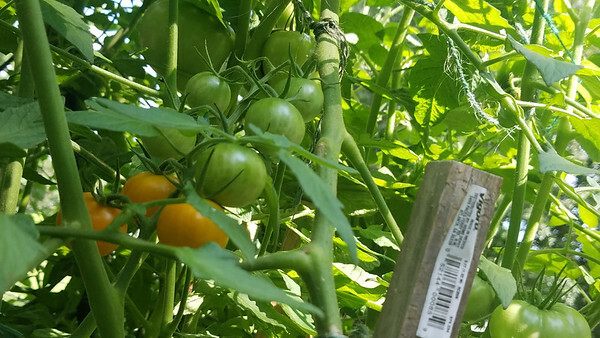 “This year, I used eight and ten foot poles and they grew well beyond the eights and are taller than any tomatoes I’ve seen in any home garden,” Hopkins said. 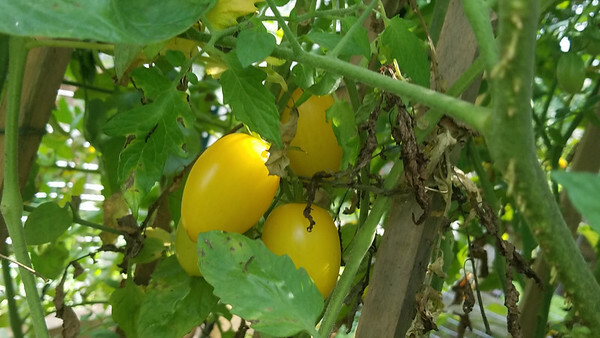 Whether or not Hopkins’ family garden is currently growing the largest tomato plants in Bristol is unsure. However, it is certainly one of the top contenders. “I grew up in Indiana and my mother is from a farm so we’ve always had big gardens in our family. The love and attention given to weeding, pruning and fertilizing makes all the difference,” Hopkins stated. Hopkins and his family are proud to have the biggest tomato plants yet in their family’s history. “We are proud and happy to share the successes of our garden here in Bristol,” Hopkins said. Posted in New Britain Herald, General News, New Britain on Monday, 3 September 2018 19:31. Updated: Monday, 3 September 2018 19:34.